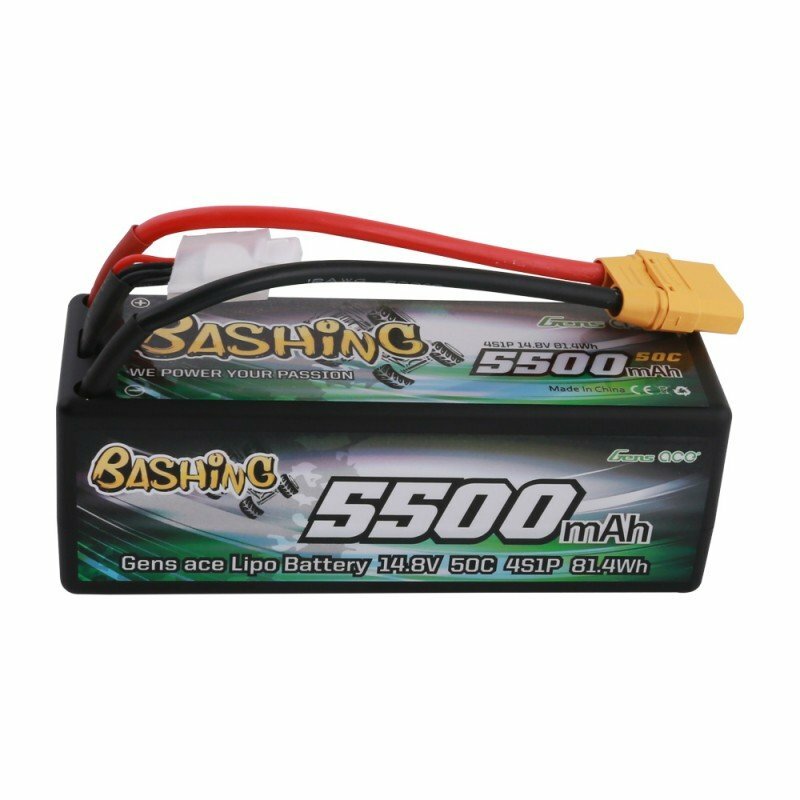 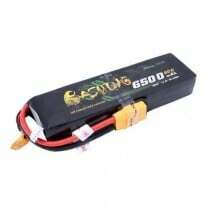 Gens ace Bashing Series 5500mAh 4S 50C LiPo battery hardcase offers you very high power and very long run time for your RC cars. These batteries packs are made with superior Lithium Polymer raw materials from Japan and Korea. 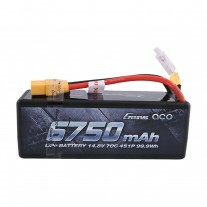 The advanced stacking technology enables a single cell of capacity to reach 5500mah. 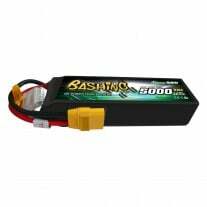 They are widely fit the 1/8 Car Model. 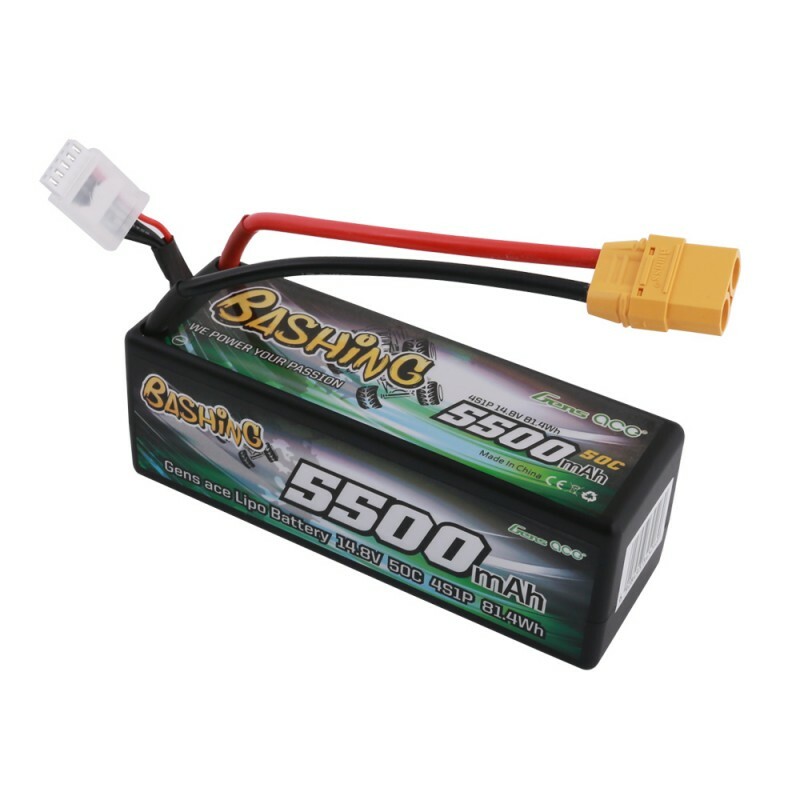 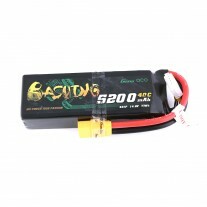 The hardcase of this 5500mAh 14.8V LiPo battery provides your batteries very solid protection. 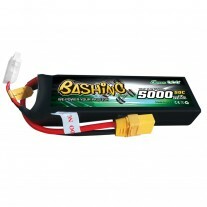 They are your ideal chooses for the RC car hobby. 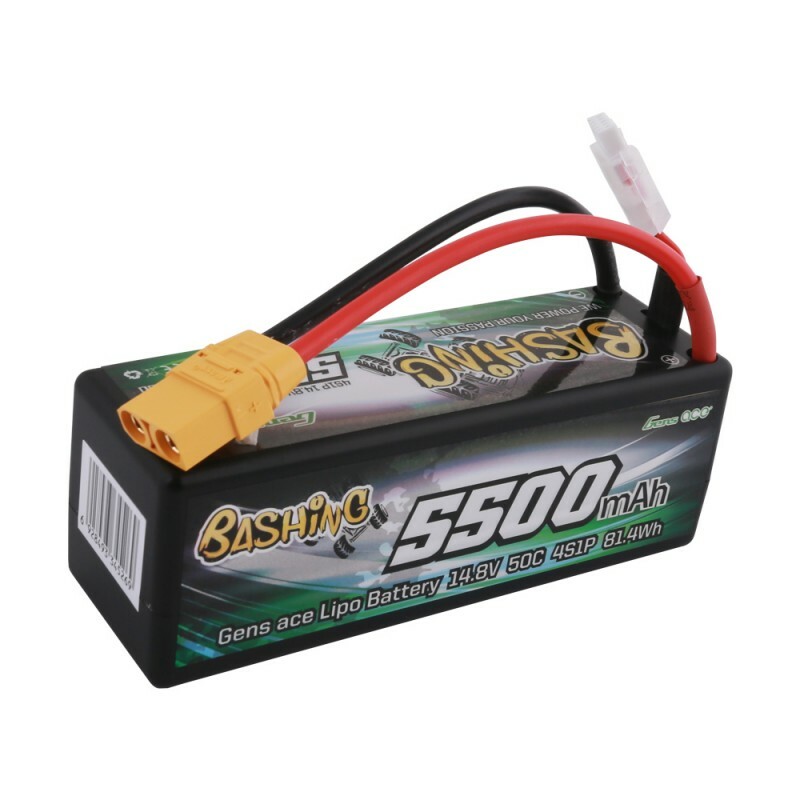 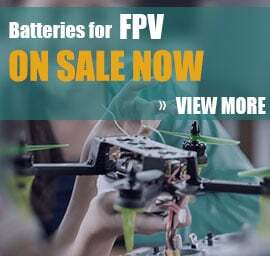 Gens ace 5500mAh 14.8V 50C 4S1P Hardcase Lipo Battery Pack is suited to 1/8 1/10 RC car model such as 1/8 8IGHT-E 2.0 4WD Buggy Race Roller, by Losi, Traxxas, Team Associated SC8E, HPI, Xray 808E etc.